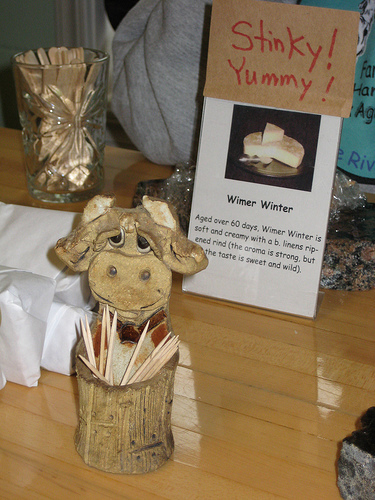 Vern and Gianaclis Caldwell, along with their daughters, have created a truly wonderful farm and make some fantastically delicious cheese (Wimer Winter being my personal favorite). They are so obviously excited by what they do and so willing to share their joy and knowledge that I found myself getting more and more excited and motivated to get back into the kitchen and try my hand at some more home cheese making. The whole morning was filled with goats. 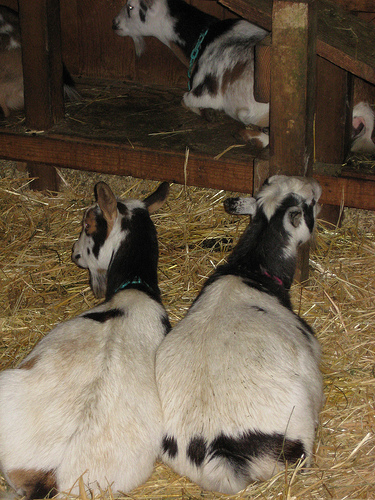 Their herd of Nigerian Dwarf goats filled the barn, there were newborn and preganant goats to look at, little baby goats to feed, milking and aging rooms to see, and always Vern, Gianaclis or one of their creamery family members was there to answer questions. They so easily opened up their farm and discussed their philosophies on goat rearing and cheese making that it was very hard to even think about leaving. Another highlight for me was the tour that Vern gave us of the solar and hydro-electric systems they use to power their farm. The conscious choice they’ve made to live off-the-grid is truly inspiring and has proven to be a complete success for them. The time and energy that went into the planning and construction of their farm is evident in every aspect of the operation. Their website does a much better job than I in documenting the planning and construction so I strongly recommend you visit their website and take the time to look through the construction photo album. I’d just like to take this opportunity to thank Vern and Gianaclis for opening up the farm and to encourage you to stop in and check it out for yourself if you are in the Rogue River area. The cheeses are worth the stop, in and of themselves, but I promise you’ll come away with a warm spot in your heart for goats and Pholia Farms.